Ensure your interior stays nice & cool! Protect your car from the harsh rays of the Australian sun, and keep your interior nice & cool with a Collingwood Magpies Car Windscreen Sunshade. 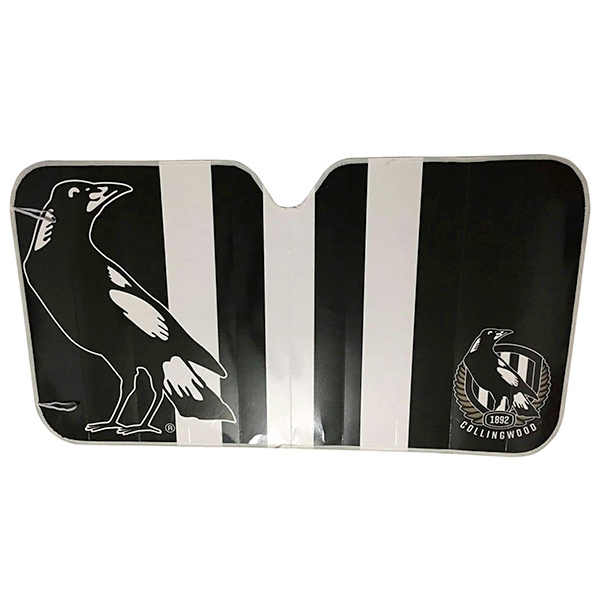 With the clubs colours and logos emblazoned across it's front, the sunshade has a heat retardant silver backing. Storage is no worries, it simply folds up concertina so you can throw it in the back when not needed! Well it's Father's day coming up and hubby and I will be away from the kids on Holiday. So i thought something unexpected and small enough to hide in the car would be ideal for a present from his wife of 48 years. Simple but useful as the spring and summer are on their way.